Delphi, Mycenae, Athens. All names deeply rooted in our imagination, linked to the evocative ones of Oedipus, Agamemnon, Athena. Greece is a land of imagination, where every name seems to be reminiscent of an ancient myth. Some myths fade away with time but Greek stories remain as fascinating, through books, through movies that carried on those tales to our times. The Greek civilization has always had its fair share of admirers, from 10th century Arab scientists to 18th century European philosophers, and it seems human beings of the 21st century aren’t that different. You won’t feel like an off-the-beaten path explorer visiting the following sites, but feeling like you’re walking in the footsteps of mythical and historical figures is an entirely valid reason to pay them a visit. The oracle’s prophecy did not do much good to Oedipus, although it was accurate. The Pythia’s words probably weren’t accurate to every single one who came from all parts of Greece to hear Apollo speak through him, but the religious significance of the Delphi sanctuary was far-reaching enough for the site to be claimed by many throughout the years. The sanctuary was considered the centre of the world and it’s easy to see why. Protected from the outside world by mountains, Delphi stands in isolation with its ruins scattered on the slopes of Mount Parnassus. 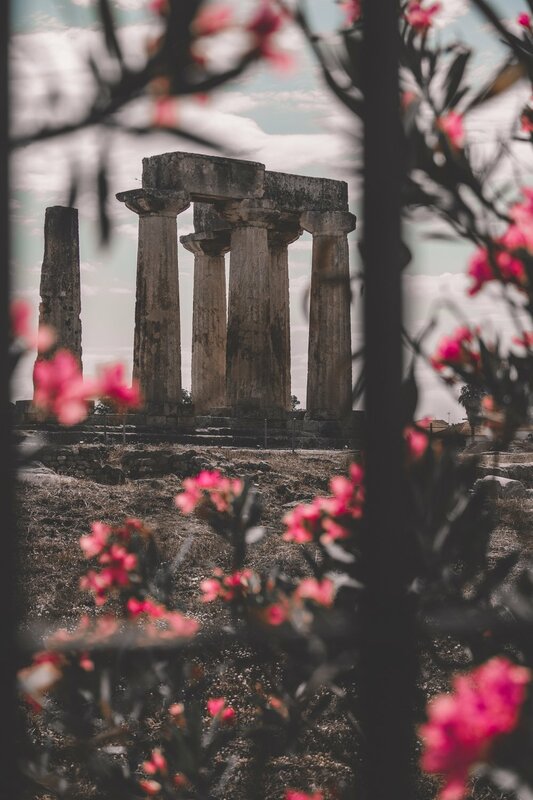 No matter how many times you’ve seen the three familiar pillars of the Temple of Athena Pronaia on paper glass, seeing them in reality won’t fail to impress. TIP: staying in Delphi isn’t the best idea since this is where most groups of tourists spend the night, and where there are tourists there are slow tour buses too. The area doesn’t lack charm though and especially on its coastline, where you’ll find local villages and quaint towns. One of them is the town of Galaxidi, a mere thirty minutes away from Delphi, where you might consider staying if you enjoy the perfect mix of seafood, cobblestones and cats. 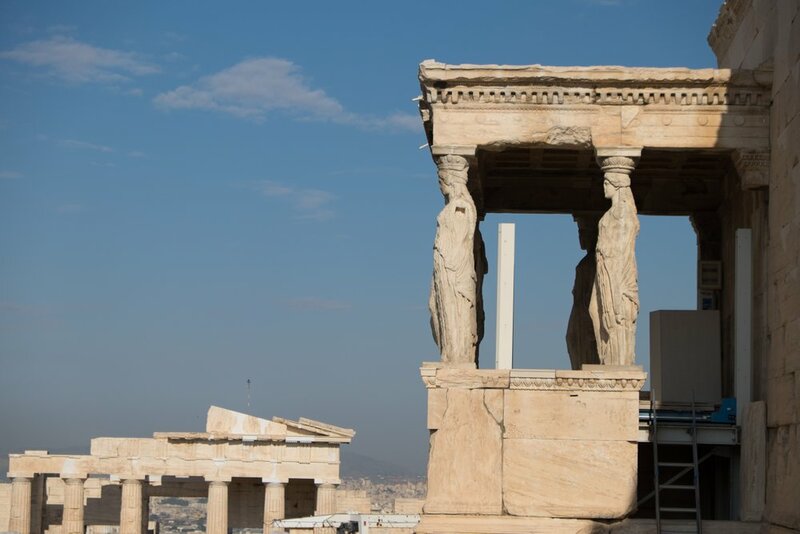 What better place to represent Greece than this timeless citadel, hanging over the city of Athens since forever. Destroyed by the Persians, its Parthenon turned into a church by the Byzantine and into garrison buildings by the Ottoman, the Acropolis had it rough throughout the ages. Yet, it is still standing and admirably so, mesmerizing thousands of visitors every day, perhaps thanks to Athena’s care for all we know. 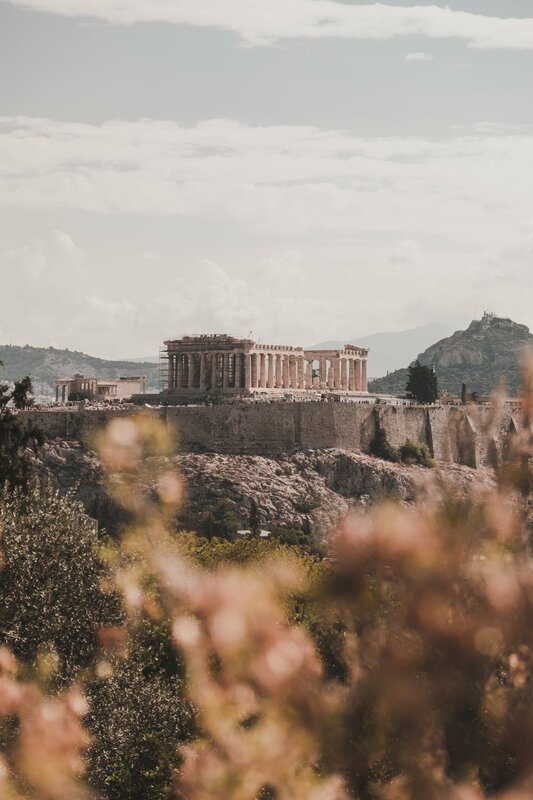 Although it can be seen from virtually every corner of the city, the best views await those who climb to the top of the Filopappou Hill or those who pay a ticket to the nearby Museum of the Acropolis. Both are equally worth a visit but walking within the Acropolis itself tops them. TIP: get up early of course and rush to the site before everyone else! Yet, that’s easier said than done during high season. 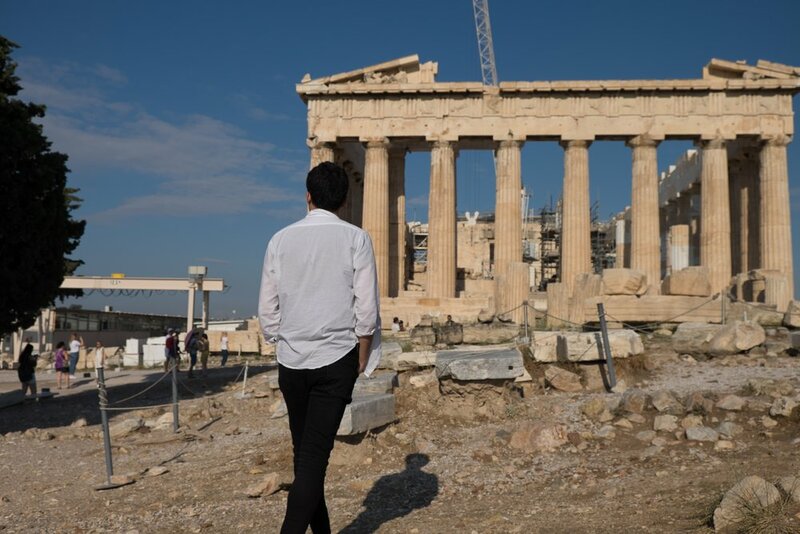 One way to avoid the crowd is to buy the 30 € multi-ticket giving access to a bunch of major ancient sites in the city, including the Acropolis. If you buy it early, you can start slow on your first day and the next, you’ll be ready to hand your ticket at the Acropolis while everyone else is still stuck in the queue. Nowadays, the name of Corinth might ring a bell for its canal rather than for its ancient site. It would be a pity however to pay a visit to one and forget the other as Corinth is simply one of the best-preserved ancient sites in the country. 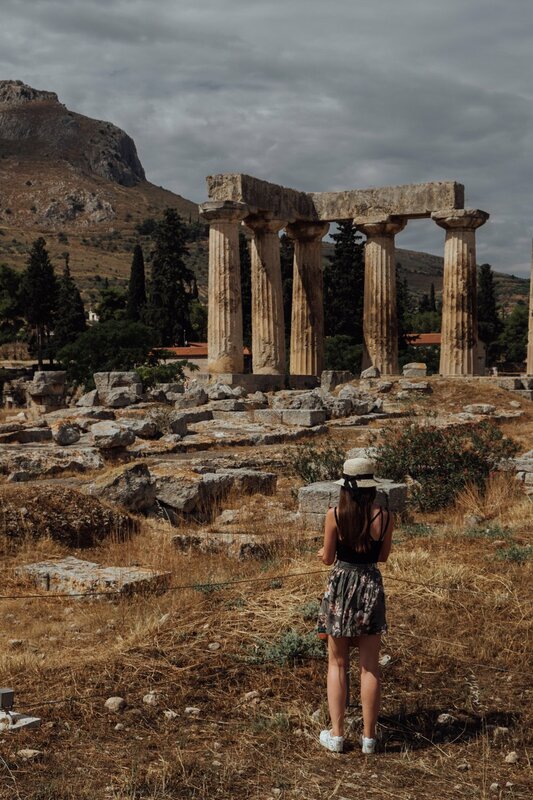 Be careful though as you do not want to confuse the archaeological site known as ancient Corinth with the new city, which was built during the 19th century. TIP: it would be hard not to see the fortress called the Acrocorinth, looming over the archaeological site. However, not many a tourist actually goes up to the fortress. Sure, the road is steep and a bit scary at times, but the view up there is a treat, not only for its perfect panorama on the ancient site but on the whole Gulf of Corinth. The fortress itself is a wonderful medieval remain that’s worth taking the time to explore. Do not forget a hat and slip resistant shoes if you do not want this stroll to turn into a nightmare though. 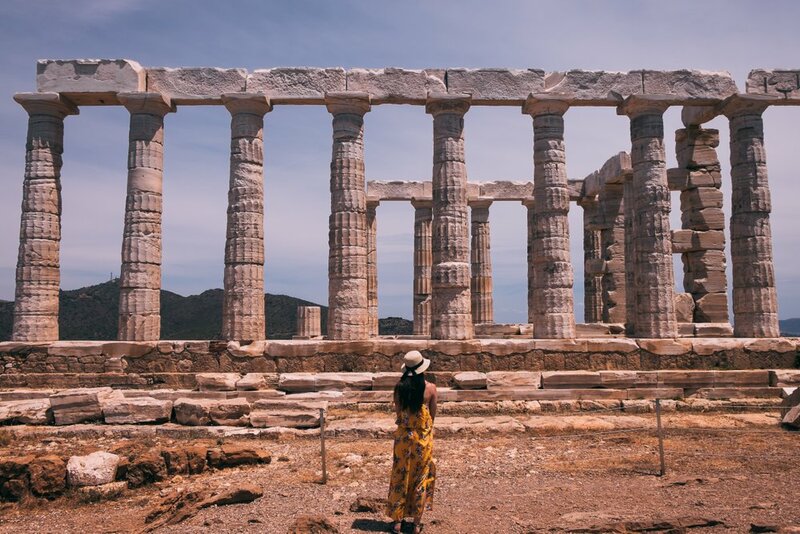 Simply put, the Temple of Poseidon on Cape Sounion seems like one last man standing. It’s hard to picture the significance of the site while looking at its remains, standing in their loneliness on the top of a cliff, half-broken pillars with no roof. But it would be harder to picture its magic, had the site been renovated. Surrounded on all sides by the sea, the Temple of Poseidon is inspiring in its melancholy. 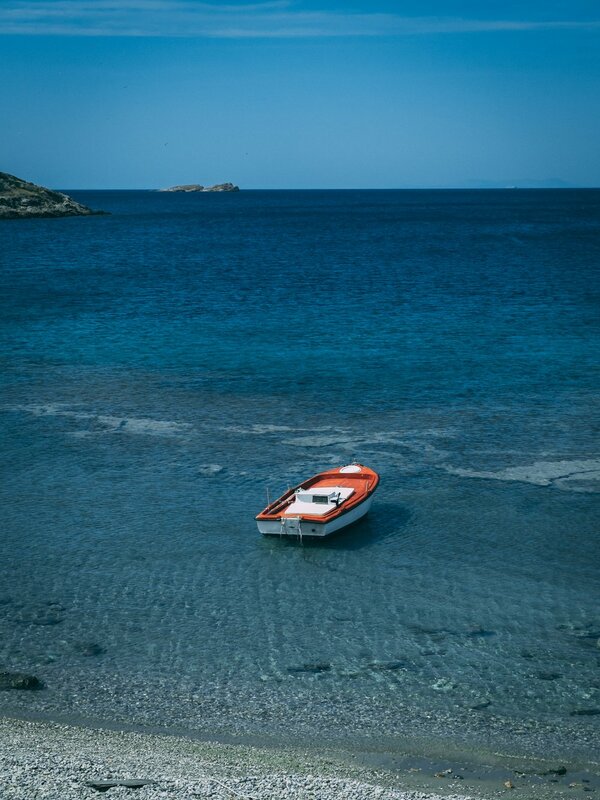 TIP: Cape Sounion seems close enough to Athens when you’re looking at a map but getting there without a car is a different story. While it’s true that buses depart from Athens, near the Archaeological Museum, it is also true that they are painfully slow. What’s also painful is to see all the creeks and wild beaches on the way while being stuck for two hours in a bus. 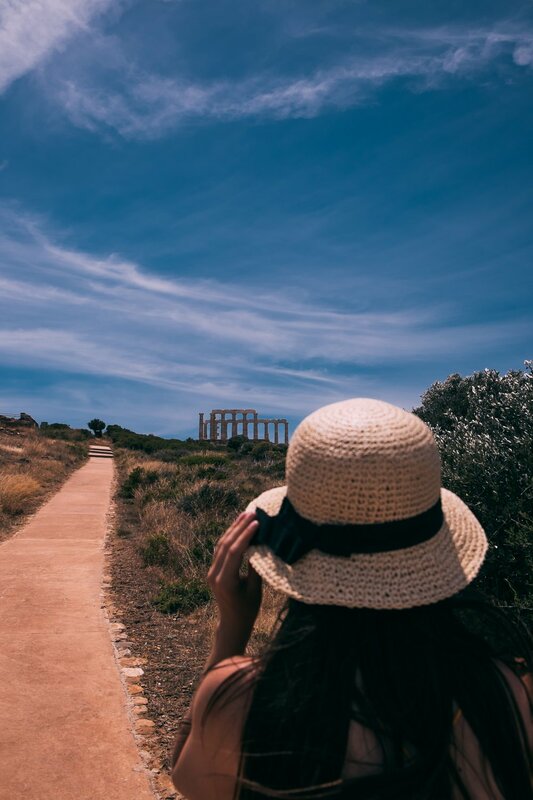 Long story short, you might want to rent a car for one day to make the most of the epic coastline leading to Cape Sounion and have time to appreciate the site to the fullest. Walking into the ancient theatre of Epidaurus gives the word ruins a whole new meaning. Not only does it feel like it was built yesterday, it actually feels as lively as it used to be, thanks to theatre and music performances still given there on a regular basis. The symmetry of the theatre is praised by all but not as much as its perfect acoustics. As a result, do not be surprised if an amateur actor shows up and starts reciting a few Shakespeare lines. If they’re standing on a particular spot at the centre of the stage, do not be surprised either if you can hear them anywhere you sit in the stands. 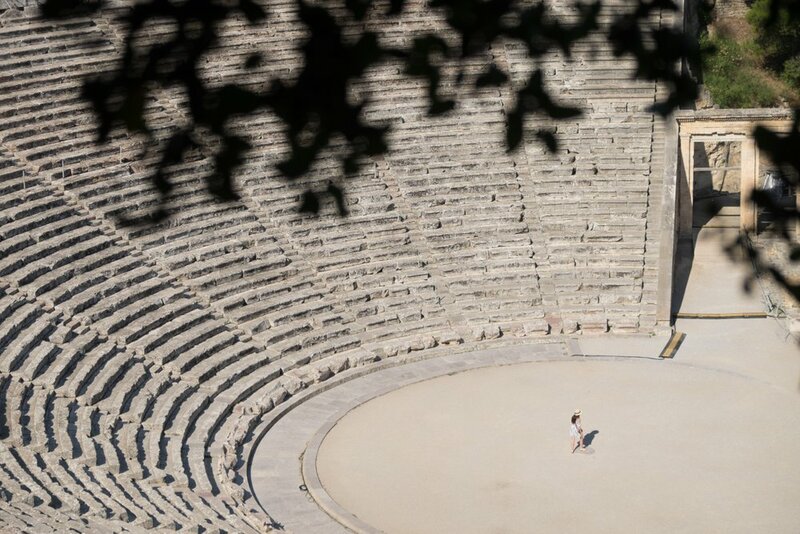 TIP: Epidaurus is too small a city to be of any interest beyond its archaeological site, which boasts the often forgotten ruins of a city besides its theatre. 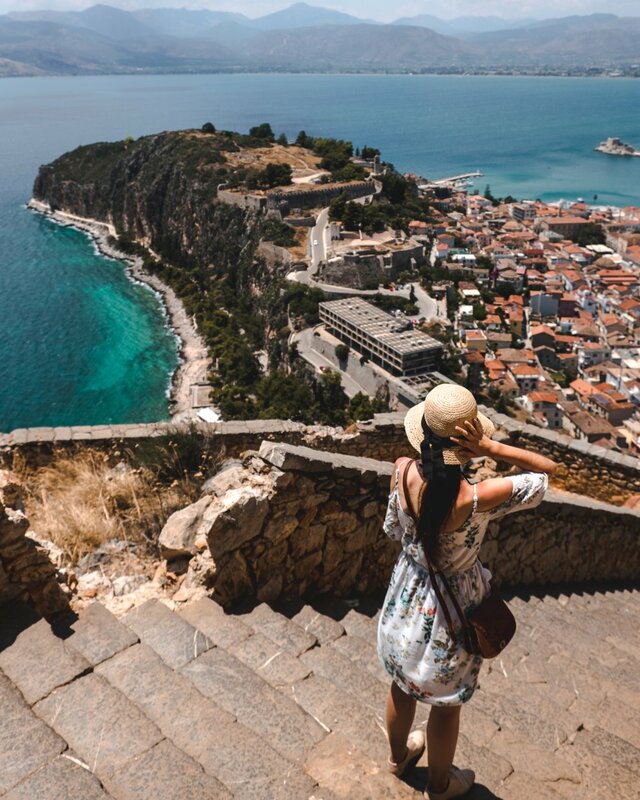 The city of Nafplio is only thirty minutes away by car and can be a good starting point to visit the area, on top of being a cute town with quite a few sights of its own. When an entire period of history refers to one place, it’s fair to say that this place mattered. As a military stronghold, Mycenae did matter but it was its cultural influence that prevailed over most southern Greece, all the way to Anatolia. Much older than the aforementioned sites, Mycenae’s oldest written name is found in Homer and one of its mightiest heroes, if he ever existed, was king Agamemnon, brother of Menelaus, warrior of the Trojan War. 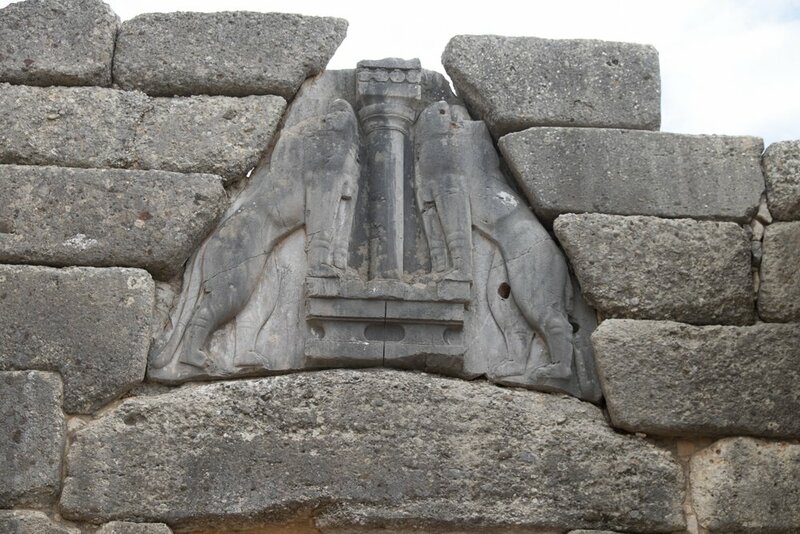 The ancient citadel is in ruins now but the iconic Lion Gate, erected during the Bronze Age, stood the test of time. 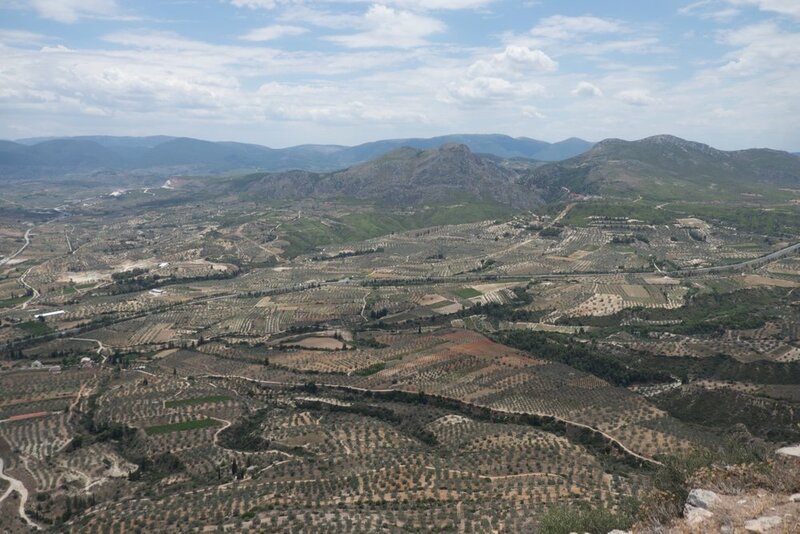 TIP: it’s easy to miss that there is more to visit to Mycenae than just its ancient citadel. A few miles before the entrance to the city, you can stop to pay a visit to the royal tombs of Mycenae dating back from 1500BC, including the famous tomb of Agamemnon. There isn’t much to see within the tombs but their structure, in the shape of beehives, is unusual and the passage leading to them leaves quite an impression.